Most of the classic cocktails were created in the US; one notable exception is the Gin and Tonic, a drink with its origins in the British Empire. Tonic water contains quinine, a substance that was used to prevent malaria. The bitterness of the quinine was unpleasant and British officers serving in India would add sugar and gin to make consumption palatable and the Gin and Tonic was born. The Gin and Tonic, or G & T, is a very flexible cocktail. It can be made as a long drink, with three of four parts tonic water to one part gin; or served short with equal measures of gin and tonic. I was first served this drink by a friend who was a British Naval officer; on the same day I was taught to use chopsticks. This was back in the early nineties and there were only a handful of different Gins available. Now, I can think of half a dozen Gins made in the San Francisco Bay Area alone. 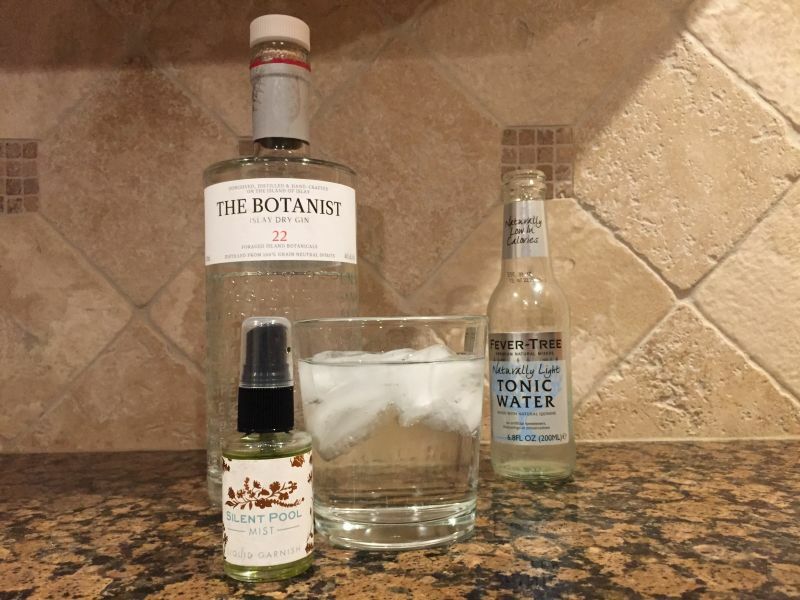 California Girl Comments: When I lived in the UK, I got quite the taste for a Gin and Tonic as my go to drink as it is something that can be obtained in any pub. I don’t drink beer, and most pubs at the time didn’t do cocktails, so this became my drink. Of course back then they didn’t have a wide selection of gins, and we didn’t have the amazing fever tree and other natural mixers that are used today which make the drink even better. In the UK, Gin and Tonic is often served with a slice of lemon; this is a mistake. The drink originally used lime and is a better beverage with the use of this particular citrus fruit. For Christmas, I was given a bottle of Silent Pool Mist, a liquid garnish of Kaffir Lime. Spraying this into the Gin and Tonic infuses the cocktail with lime; adding a further dimension to a deceptively complex drink without adding that “fake chemical laden lime” flavor that you would get from Roses Lime juice. California Girl Comments: There is a story behind the Silent Pool Mist. When I was in London in November, I went to a huge Food and Home Christmas expo with some girlfriends. While looking through the food section, I came across this Silent Pool Mist. It is a distilled mist that you spray into cocktails to add flavor and smell. What a cool and unique gift for the mixologist in your life! When it was demonstrated to me, I just knew that The Brit needed it in his collection. I am only sad now that I bought him just the one. Since London is a long way to go for these liquid garnishes, I wonder if I can talk Napa Valley Distillery into launching a line of them. Hmmmm?? 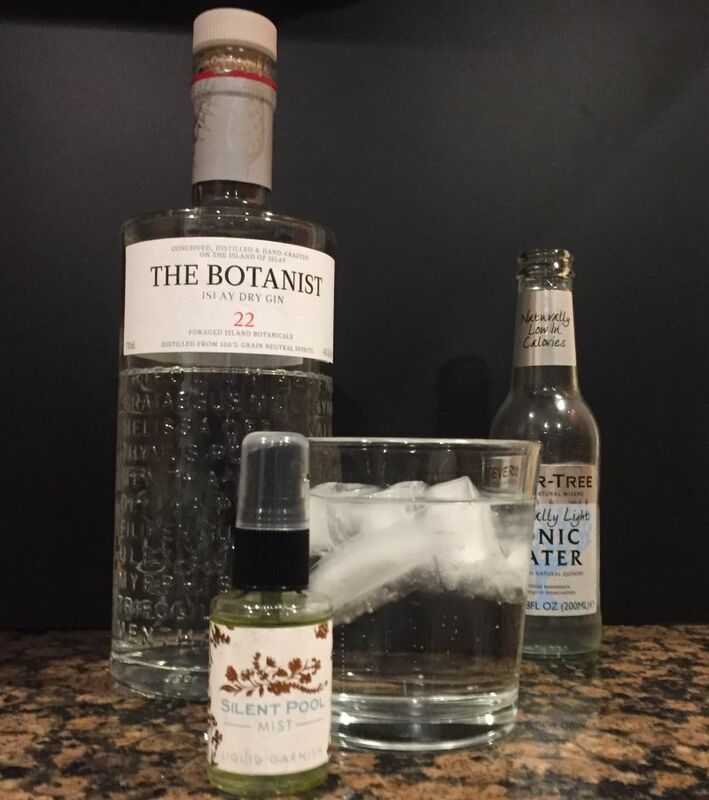 I used The Botanist Gin; a delightful Gin made at the Bruichladdich distillery, more famous for its malt whisky. Serve in an Old Fashioned glass over ice. The Silent Pool Mist spray also worked well in a Rum and Ginger Ale; a cocktail made in the same manner and proportions as the Gin and Tonic.